I am from Gujarat and i would like to complete certification course on Ragas on Guitar…pls guide me..
Sure! I am forwarding your query to my Raga Counselor who will send you all details and solve your all queries. Besides you can also email & mobile at info@guitarmonk.com. I am interested in buying your book “Rudiments of Guitar”. Please mention the rate in Indian currency, the mode of payment and the details of despatch. I am from Coimbatore, Tamilnadu. This particular book is sold by our counterpart at guitarmonk. You can email at info@guitarmonk.com for all information on same. Recently I purchased your book. 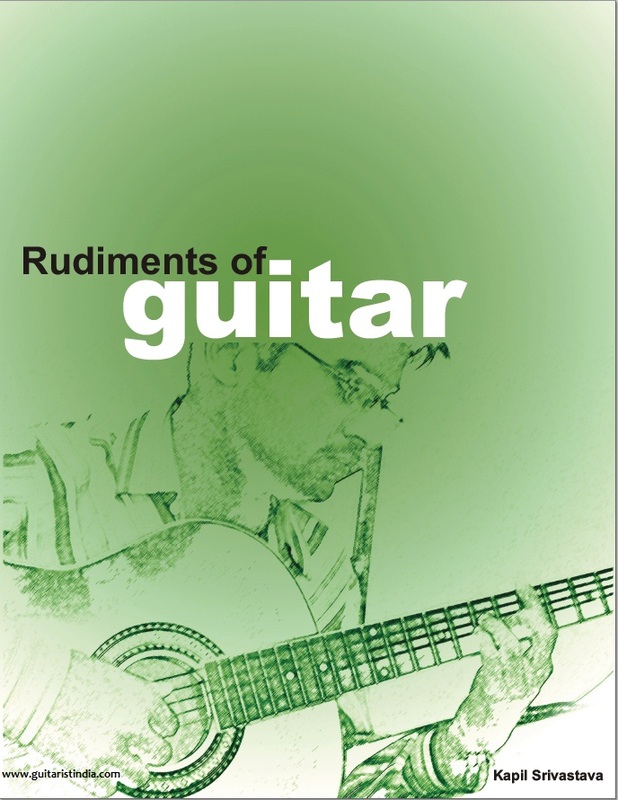 “Rudiments of Guitar” by remitting Rs.520/= through Net Banking.Really it is a wonderful book. Further, you have mentioned in the excerpts of the book above, in the concluding line as,” It’s further enclosed with my Album and Video CD of exercises, tunes and practice material for you”. On receiving the package I could find only the book, nothing else as stated by you. Could you please tell me the reason for not enclosing the Video CD. If you provide that offer, kindly take steps to dispatch the same, which I hope would be useful to me. Awaiting your response in this regard. Thank you. Regards. Greetings! and Thanks for the complement.! You could have wrote the same enquiry at the guitarmonk’s official email only where you have had all communications and took decision to purchase my book. Because they are the better person to provide you with immediate solution. As all my management, sales is delegated to their responsibility and I am unaware about timings, terms of sales happening at any given point of time. I am happy that you appreciated my knowledge and I am sure that this book will give you lots of formulas to expand guitaring. Wish you all the best in same. We used to give the CD with this book a many years ago. After that all the videos in the CD got shared in YouTube only and got available as free there and also in a separate forum. Some extra exercises got posted in the separate private forum. I request you to paste your query and my answer (this whole conversation) at mail at info@guitarmonk.com. You will be shared with a dedicated page with a password, where you can access important exercises and videos. Hi, i will love to compose songs with a guitar although i’m still a learner but am sure your book will help me, i dont knw how am going to get it, Can you please send the soft-copy through my e-mail i will appreciate it so much if you can do that for me. I’m a Nigerian. is this book enough for hobby Guitarist?